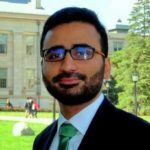 Husnain Fateh Ahmad is an Assistant Professor of Economics at the Lahore University of Management Sciences. His research interests fall under the umbrella of microeconomic theory and industrial organisation. Ahmad has applied behavioural game theory to study the phenomenon of over bidding in first and second price auctions as well as modelled the effects of corruption in the form of bribery on total welfare and efficiency. Why are there no microgrids in Pakistan?